Got home from our roadtrip last Sunday and went back to work on Monday. Downloading of pictures was delayed until last night because of Starcraft 2 so hopefully I’ll have some posted soon. Birthday is tomorrow and I need to hit the range soon, been way too long since I last shot. Starcraft 2 is awesome by the way. Road trip starts tomorrow so I’ll be on and off the grid for 2 weeks. Big Sur and then up to Washington to visit family. Will be putting a new lens through the paces as well. Went down to Tijuana yesterday with Ryan Morrison and some folks from Bakersfield to finish off some houses. Got tar paper, chicken wire and 2 coats of stucco on one house and a second coat on another. 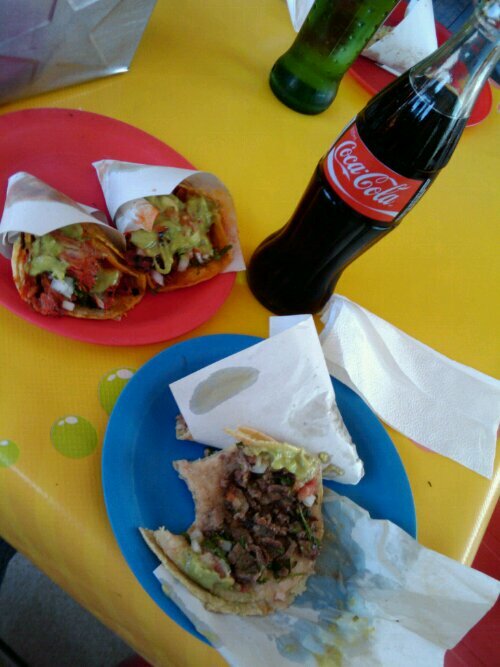 Before heading back across the border we got tacos at Ryan and the Amor’s rep favorite place in all of TJ. The carne asada was fresh off the grill and the pork (aka Mexican gyro meat) was cut right off the rotisserie. Throw in a cold Coke and it hit the spot perfectly after a hard day of work. Easily the best tacos I’ve ever had.